Cooking, gardening, eating and crafting – Was in Hobart now in Melbourne! So I took a trip to the supermarket to pick up my supplies. I decided to use a bottled laksa paste because I was so unprepared and runing out of time. I picked up some snow peas, baby corn, a bottle each of ginger & garlic purees, fresh coriander, bean shoots, a stick of lemon grass and some fresh hokkien noodles and I was all set. On a side note, can I just say how much better supermarkets are then they used to be?? Several years ago you would have never found lemongrass, baby bok choi, rhubarb, sugersnap peas, black tomatoes or shiitake mushrooms. For a town that doesn’t really have farmer’s markets or greengrocer’s, this is so encouraging to me! I never really looked that hard at all the veggies before but I did today, and I was getting ideas on how I can use them all. But, I better just concentrate on the laksa for now. You would have seen from yesterday’s post that my bok choi plants were starting to get rather large. Well I thought I better pick some & eat it today, because it grows back pretty fast. I decided to fry it rather then steaming it this time, just for something different. I looked in the cupboard & spotted my sesame oil & raw sesame seeds, and a lightbulb went off in my head. Ah hah! What a perfect flavour combination. Use a wok, or a large frying pan (I couldn’t be bothered getting my wok out today). Gas is ideal, as you need the wok really hot. 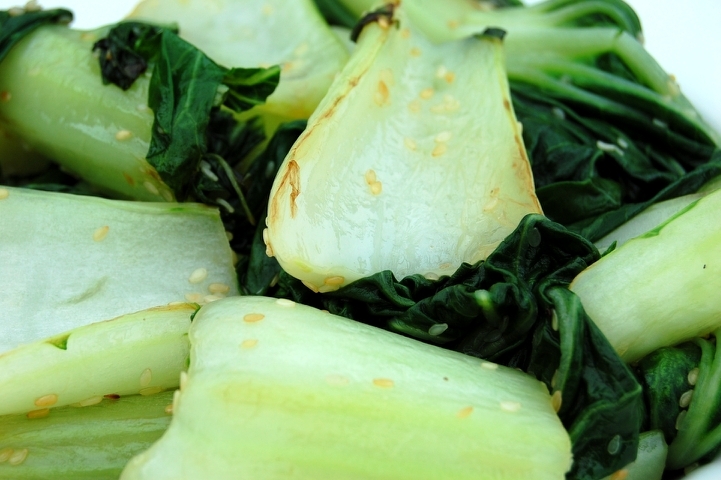 Wash your bok choi thoroughly, as sand in your dish really don’t go down well (talking from past experience!). Roughly chop the stem from the leaf, and chop the stems into halves or thirds to make them easier to handle. You can chop the leaves into ribbons if you like but I left mine as is. Over high heat, heat up the dry wok or pan. Pour in about a tablespoon of the raw sesame seeds, and toss until they toast to a nice golden colour. Add the oil & let that heat up. Add the bok choi stems only, and toss to cover in oil. Fry rapidly until the stems are tender & the outsides brown very slightly. Add the leaves, and toss until they wilt. 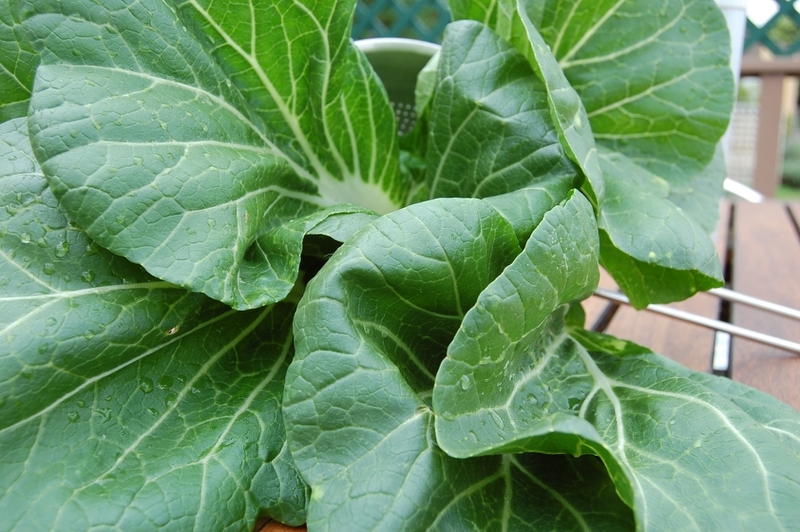 Bok choi has a very high water content & this may make the oil spit so be careful. That’s it! Scoop out into a bowl & enjoy. I couldn’t find my chop sticks, but I do have some somwhere. This could be used as a base for a stirfry or noodle dish. Add some soy sauce & flat rice noodles, thinly sliced beef or tofu and you’ll have a really substantial meal.